Ask for, and answer, questions: It's simple, but commenters often are surprised when their questions get answered...which tells me too many posters aren't bothering. Your answers can point them to relevant blog posts, photos, links, and ideas, and build relationships in the process. Ask readers to finish your thoughts. If you write a post that answers all questions, or seems to, you might be leaving folks with nothing more to add. Throw the topic open to discussion instead--then do a follow-up post based on the replies. Use comments to fuel new posts of your own: Your readers love to see themselves on the web, so cull answers from your Facebook page or Twitter feed, and summarize them on your blog, website or other showcase. Build posts around responses and answers, linking back to your respondents. This helps advance the conversation and encourage others to respond. Take comments to the next level: When a comment adds content, perspective and archival quality to your video, photo or other multimedia post, run with it. Annotate your video, audio or photo with selected comments. Here's how to link to a comment on your YouTube video and share it, with tips on annotation. And Foursquare has just announced photos and comments options for iPhone users--meaning, among other things, that you can show a picture of the restaurant meal you're complaining about, and you can directly comment on your friends' check-ins, without posting to Twitter or Facebook. 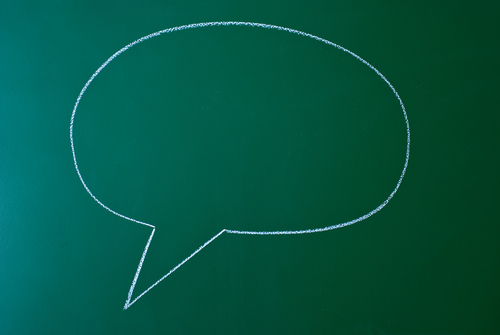 Encourage a series of comments on a recurring basis. Once a week, ask for particular types of comments, and let readers know what you're doing so they'll look for the opening. On The Eloquent Woman on Facebook, I've tried "Talk to Me Tuesdays," encouraging questions from readers about public speaking and presenting--many weeks, we have long threads of questions and answers. You might hold "office hours," conduct a new-member question time, ask for customer feedback, and more. When you get reader questions, ask other readers to share what they know. Sure, you could answer that question. But hold back a bit, and ask readers to chime in. You'll then have a host of ideas, potential new posts, and more engagement. Know when to hold back. 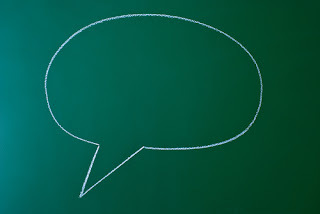 You need not comment on every comment--and it's smart to wait to see how the conversation develops before you chime in. Let other readers share, and make sure your replies aren't inadvertently cutting off the conversation. Thanks for this very helpful post! You've caught the essence of what makes blogs, Facebook, Twitter, and all the rest SOCIAL media -- using comments to generate conversations and share ideas. Most of the people I know fail to grasp this opportunity. Your message is the kind of kick-in-the-pants we all need, and I'll be sharing it.